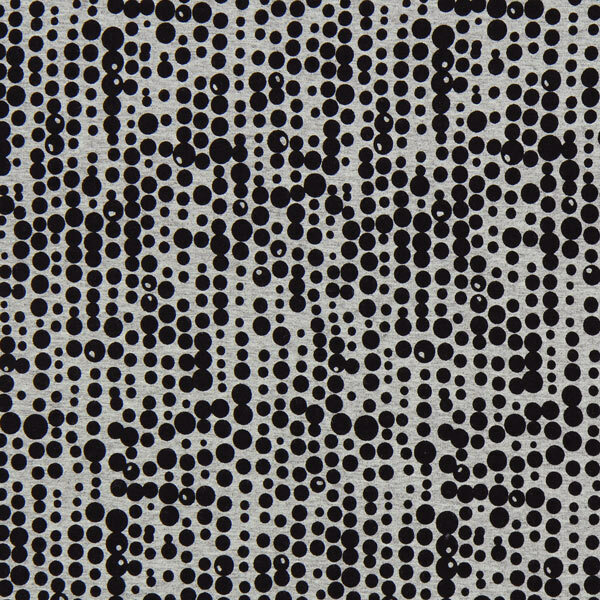 When I think of dotty fabric, I pretty much think of your classic black on white - or the inverse - dots. 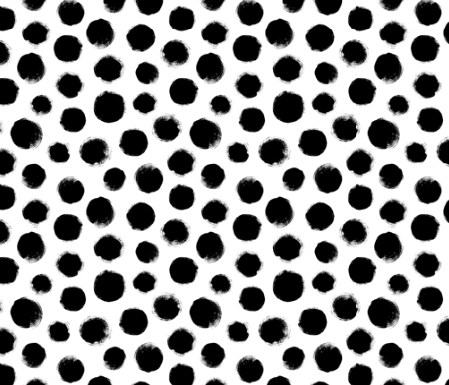 I think of a straight up, evenly spaced, perfectly round polka dot pattern. The kind of dot Minnie Mouse makes her dresses from (I'm assuming she sews). 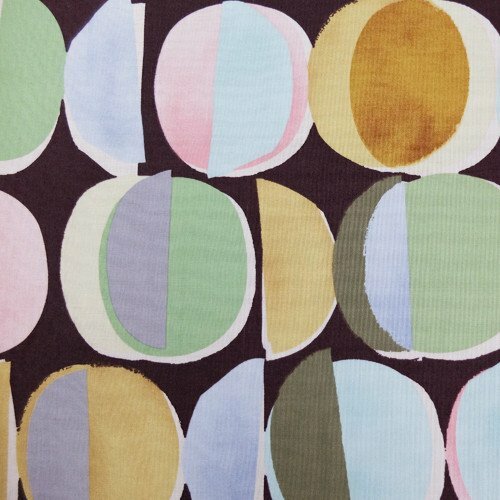 Something like this cotton blend from Truro fabrics. 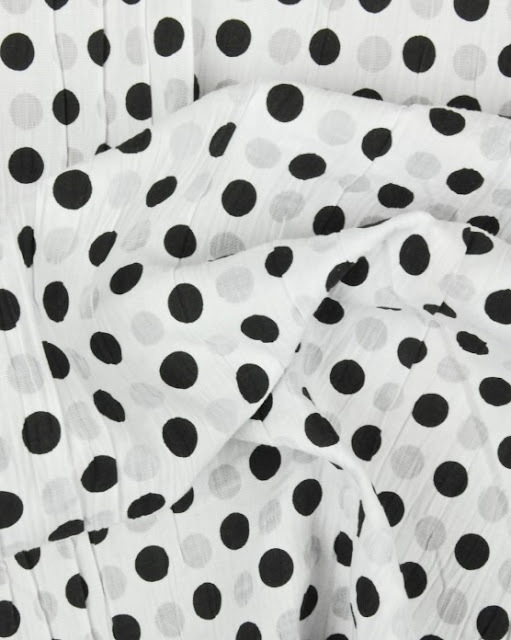 I've conducted a bit of dotty fabric research now, with the aim of inspiring you to get sewing for 'Sew Dots, Raise Lots' and my mind has been altered. Oh my. I have clearly had extremely conservative experiences with dots. There is a whole world of inventive dottiness out there that I never imagined. I'm displaying some of it here for your delight. 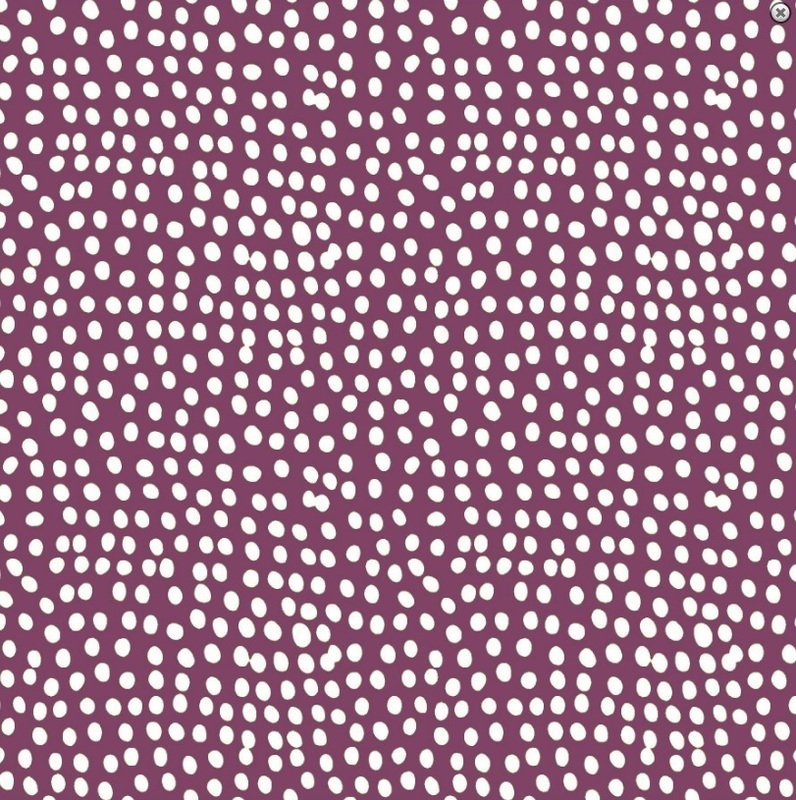 In the words of Yayoi Kusama - a lady who really knows her dots - "polka dots can't stay alone..." Take that to mean what you will! 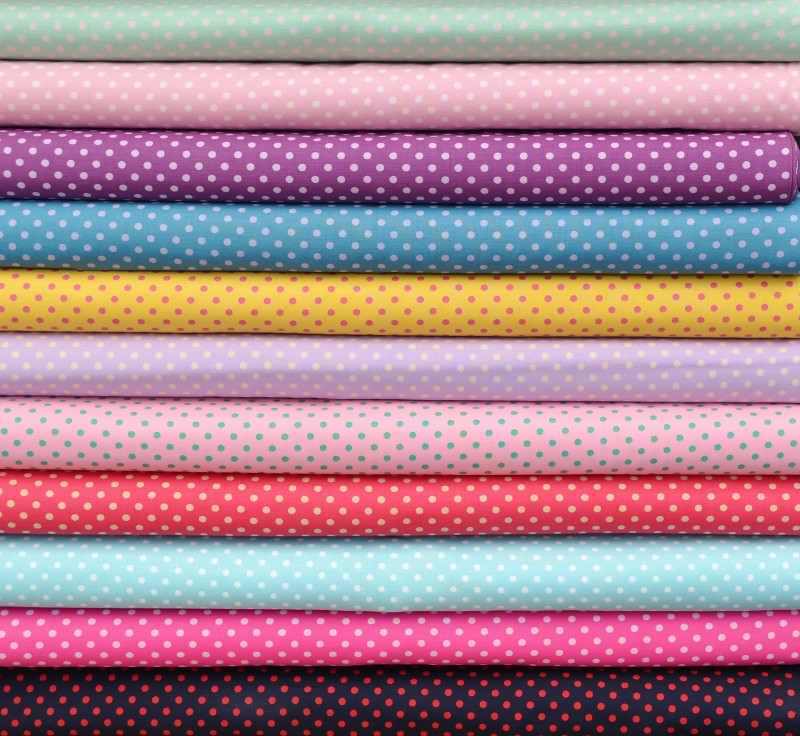 I'll start with a fairly straight up polka dot though, with these Japanese dotty fabrics from Fabric Rehab. The twist on these being the interesting colour selections and combinations, like tubs of ice cream by the seaside. Mmmmmm. 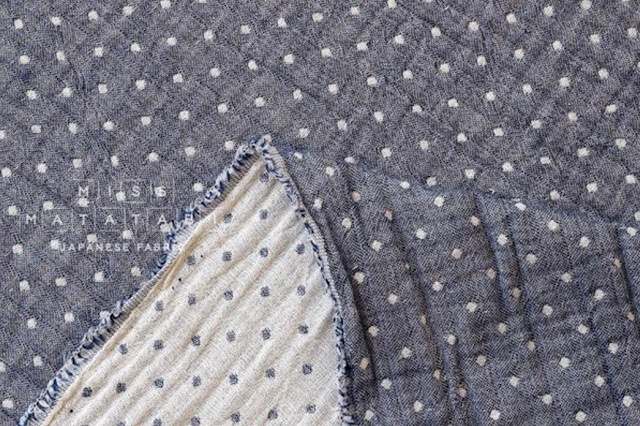 Sticking with small dots and Japan, this denim coloured double gauze from Miss Matatabe is very tasteful. She also has it in baby blue and a lovely purple colour. 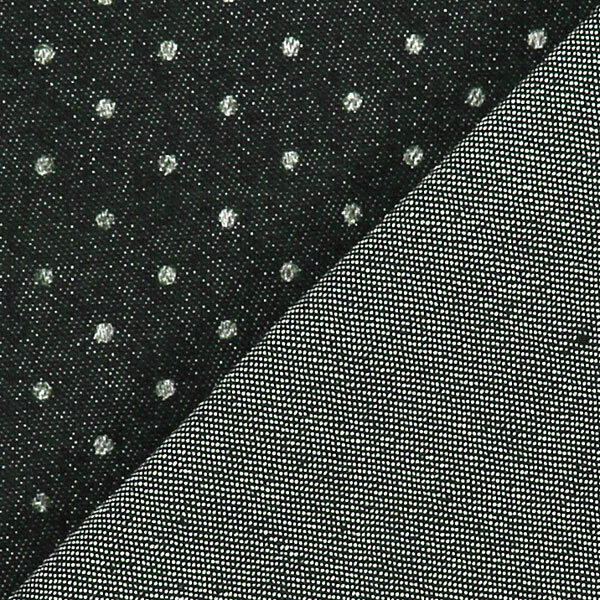 Offset Warehouse have an actual dotty denim and amazingly it's reversible, with one side showing a dark denim and the other a much paler denim. Dotty jeans anyone? I also spotted (unintentional pun!) this dotted black denim. The dots on this are much smaller and seem to create a nice textured look from far away. 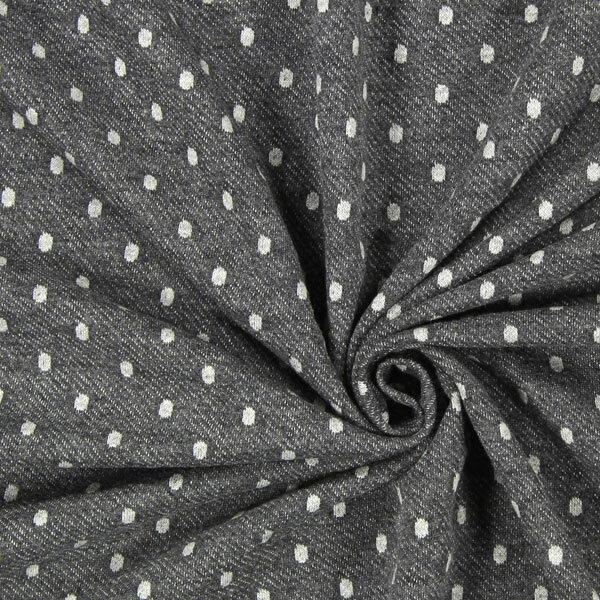 Sticking with fairly tasteful, low key dots, I love the look of this dotted grey jersey from My Fabrics. It looks like it would make a great Autumn sweater or even tracksuit bottoms. Fabric Land seem to have a similar fabric but in a nice maroon colour and a dark blue too. I started thinking about textured dots, as RNIB's 'Wear Dots, Raise Lots' campaign promotes awareness of the important role of braille in communication. I found this amazing work by Tiffany Loy, who has built tools to emboss fabric in a unique way. 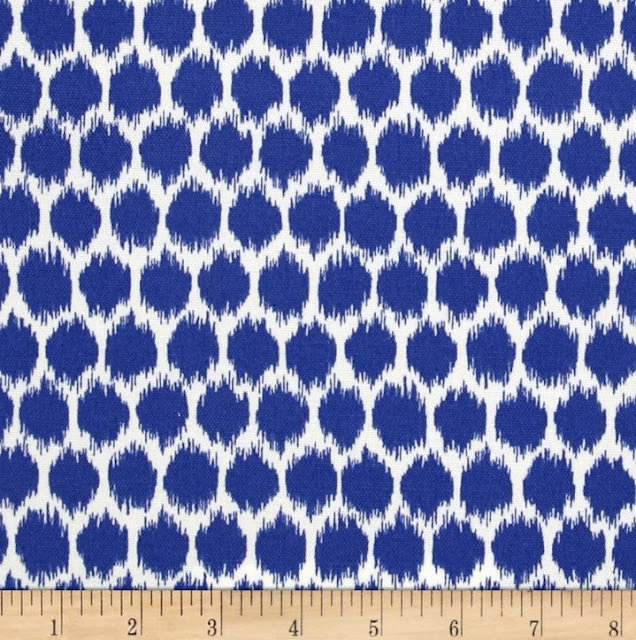 The closest available fabric I can find is this soft fleece-like fabric with raised dots, again from My Fabrics. It comes in a range of colours. 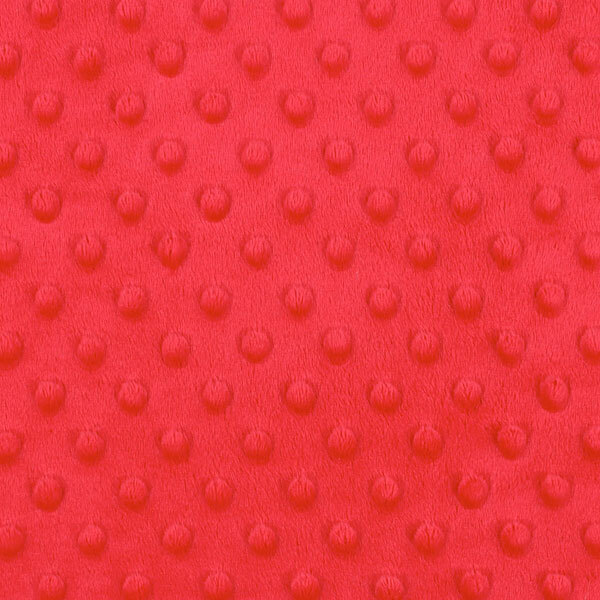 Another textured dot is the classic Swiss Dot fabric. 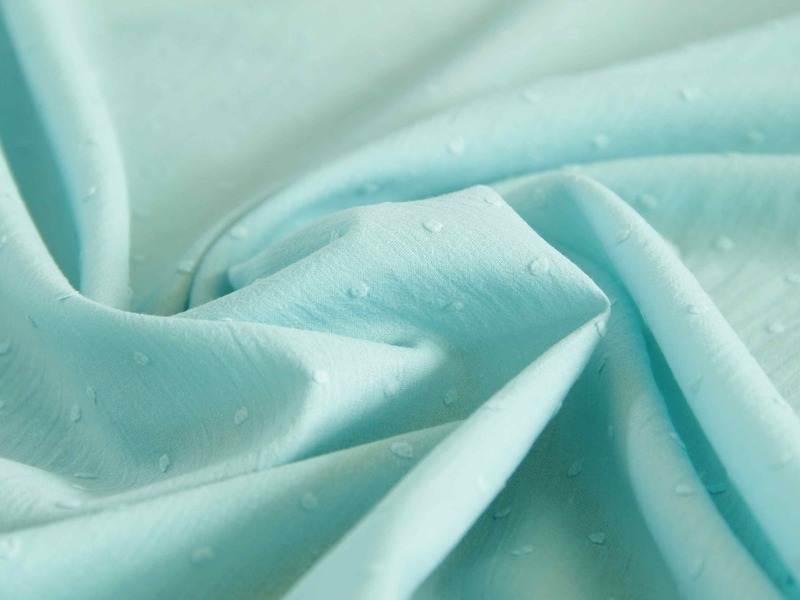 Fabric Godmother sells a lovely range of these, including this minty blue and a pure white if you want to look like you're swanning around in a holiday homes brochure. Now we'll start looking at some more adventurous dots, as there are people out there designing fabrics with unevenly spaced or shaped dots. Crazy I know! 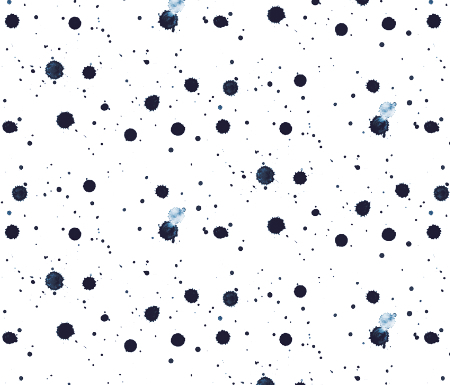 I like this dotty jersey, where the dots look almost like bubbles. 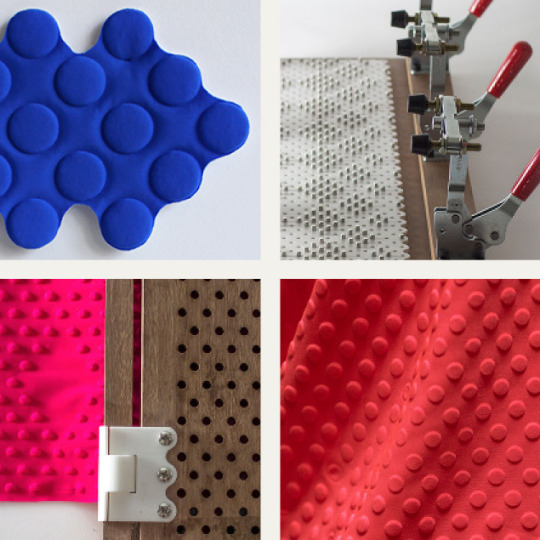 Sticking with knits, some designers are taking their dots to the next level. This is a knitted jacquard from The Village Haberdashery and yes, some dots have been replaced with pictures of leopards THAT ARE DOTTY. 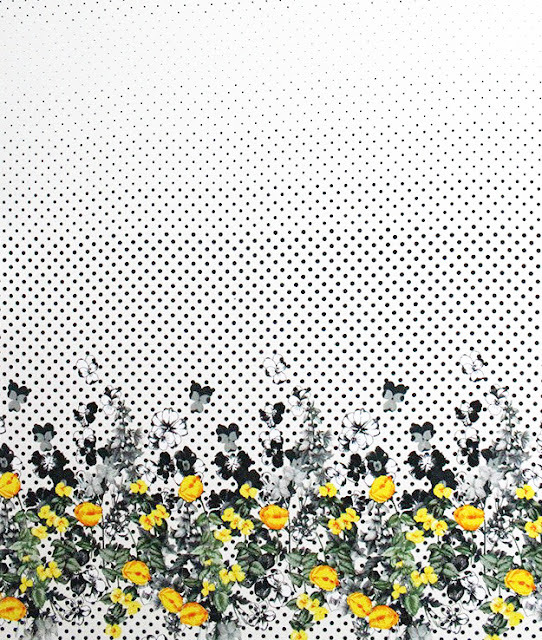 I love a good pattern mashup, and this polka dot gradient/floral mix from eBay is glorious! It's chiffon. I see it making a wonderful, seasonally inappropriate maxi skirt!! To take it back slightly to the tasteful, there are some lovely 'handmade' looking dots out there. This is a design from Spoonflower. 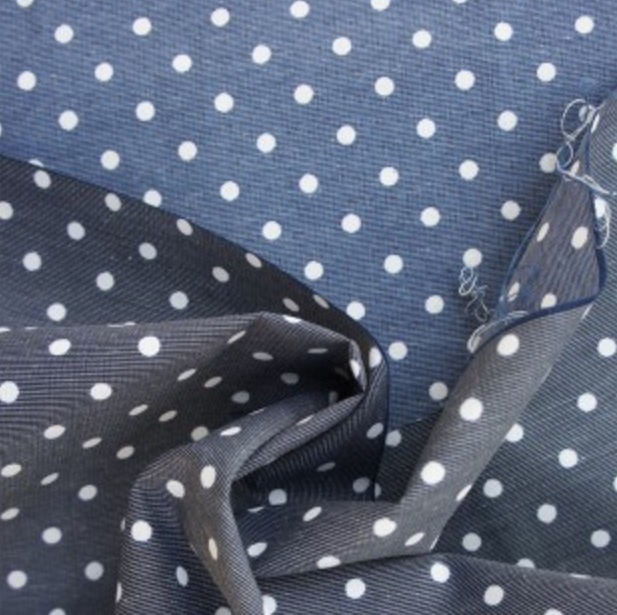 That slightly blotchy look really softens the classic hard edged polka dot. Taking the handpainted dot one step further is this lovely ink splash type design in deep indigo, again from Spoonflower. 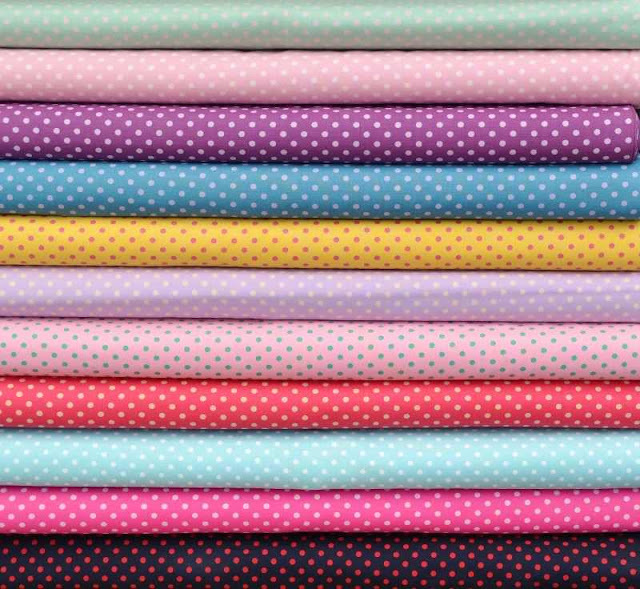 I haven't announced the grand prize for the Sew Dots... challenge yet but hint hint it might include a couple of metres of printed fabric in a design of your choice from the brilliant Contrado, giving you a chance to realise your dream dot fabric! ... and this almost ikat-looking blurry blue dot polyester. I definitely see a pair of trousers made in this. 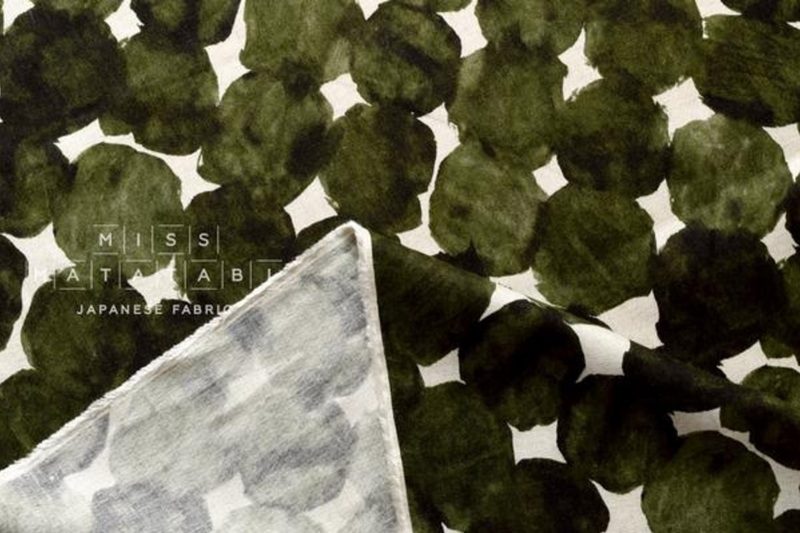 And even bigger and splodgier, this beautiful linen/rayon blend from Miss Matatabe, with olive green watercolour spots. 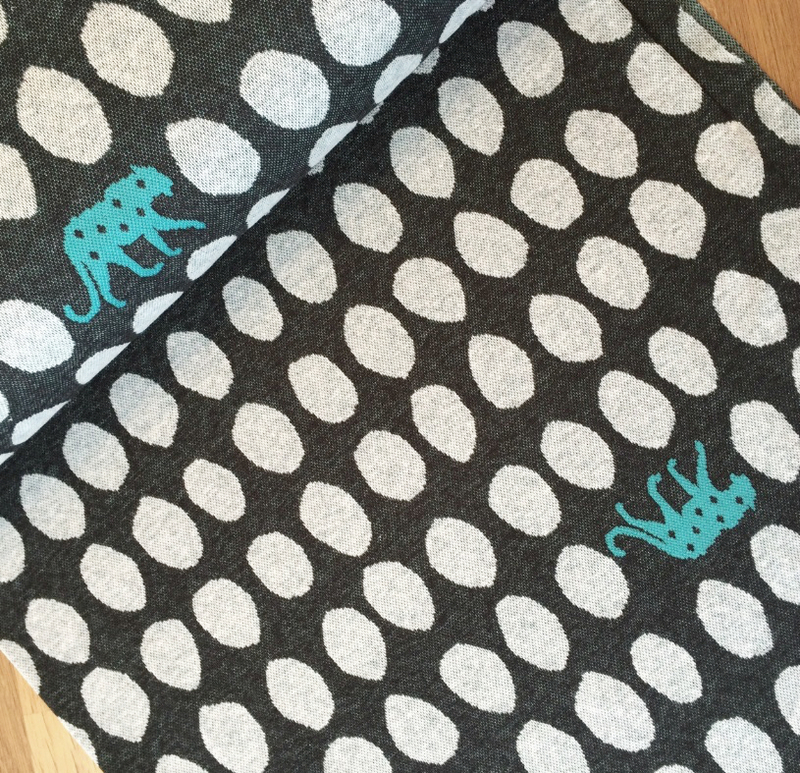 And to finish up, this Liberty 'full moon' design stocked at Fabrics Galore. It is named after the moon, though I definitely see fruit! 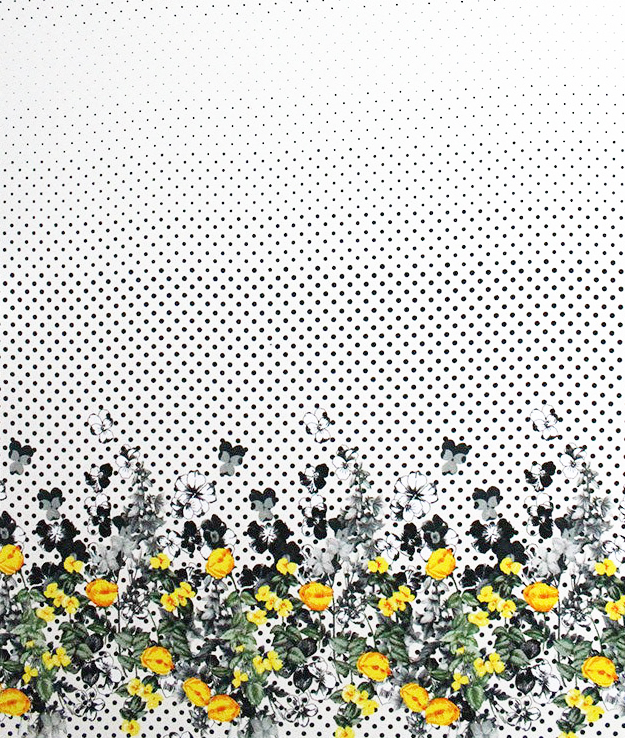 I think this print might push the concept of dots as far as it can go before they actually stop being dots! I hope this has provided some dotspiration for your projects!